The 'on and off' relationship of Elyes Gabel and Katharine McPhee is now in an 'on' mode. Yup folks, they're back together once again. So for how many months are they back together or is it just a rebound for the couple? Let's find out. Elyes Gabel and Katherine McPhee-Unpredictable Couple, Will they get Married? Elyes and Katherine started dating back in 2014. It became official after they were getting cozy with each other. Katherine gave a small peck on Elyes' neck while they were shooting in L.A. The couple first met each other while working on the same show, Scorpion. Both of them plays the lead role of Walter O'Brien and Paige Dineen. This was Katherine's second relationship after her divorce with husband Nick Cokas in 2014. The divorce came after she was making out with Smash director Michael Morris. But love always finds its way in every situation and the same thing happened in their relationship as they're now back together. The Lick My Lips singer and the British actor rekindled their relationship earlier this year. Since then both of them are keeping a low profile and haven't officially said that they're dating again. This speculation came aboard when both of them were in the sets of Scorpion together in Malibu, California. Their co-stars Robert Patrick and Jadyn Wongalso joined the couple during the shoot. When your producer @scooterbraun FaceTimes your costar @elyesgabel on his birthday but doesn't on yours.... I'm smiling. But I'll remember Scoot. I'll remember. Happy Birthday to this sweet soul @elyesgabel. May you smile continue to be as big as your . Katherine has even started posting their pictures on her Instagram account once again. Looks like they're back but aren't saying anything about it at the moment. 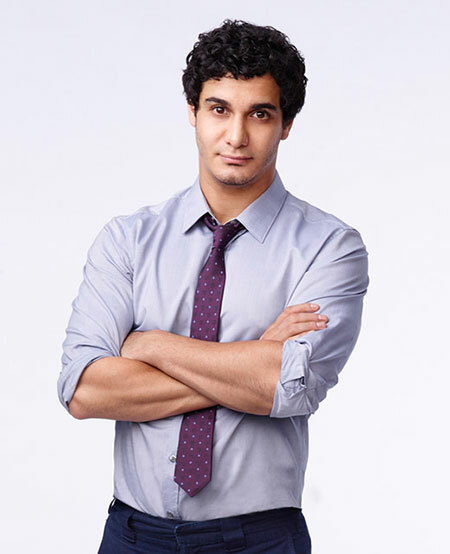 Elyes Gabel was born on 8 May 1983, in Westminster, London, England, UK. He belongs to multiple races including Algerian, French, Spanish, Dutch, Anglo-Indian, Irish, and Portuguese. He attended the St Damian's Roman Catholic Science College. He trained at Strodes College, the Oldham Theatre Workshop and the Northern Kids Theatre Company. He is of Algerian, French, Spanish, Dutch, Anglo-Indian, Irish, and Portuguese descent. He worked in big movies like Interstellar, World War Z, and Spooks: The Greater Good. His net worth is around 2 million dollars.